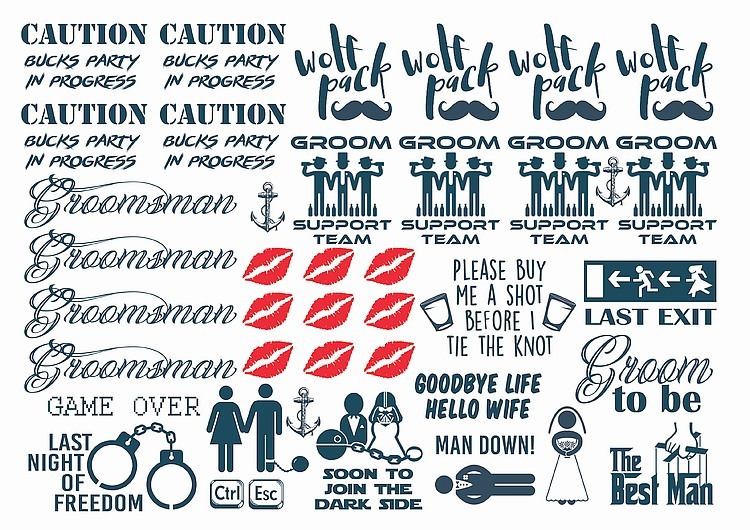 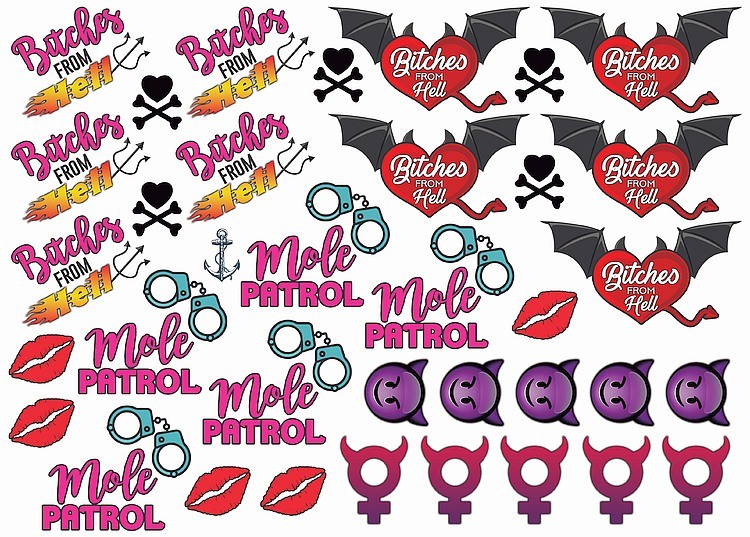 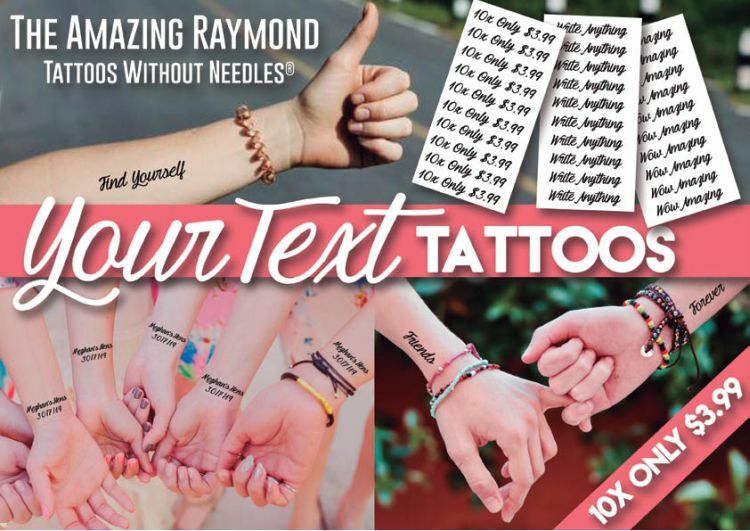 Perfect for your last fling before the ring, The Amazing Raymond® Hens temporary tattoos consist of a wide range of sassy designs. 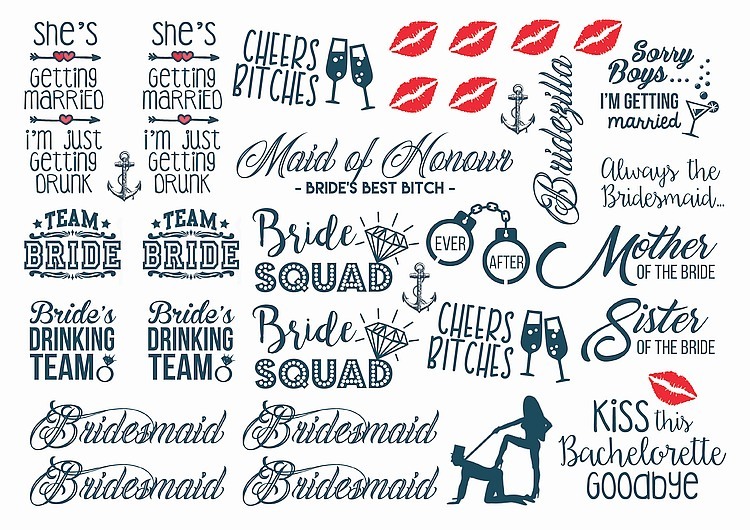 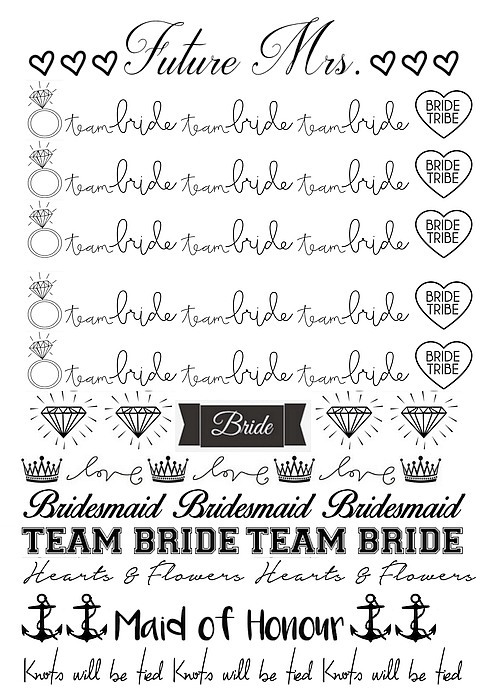 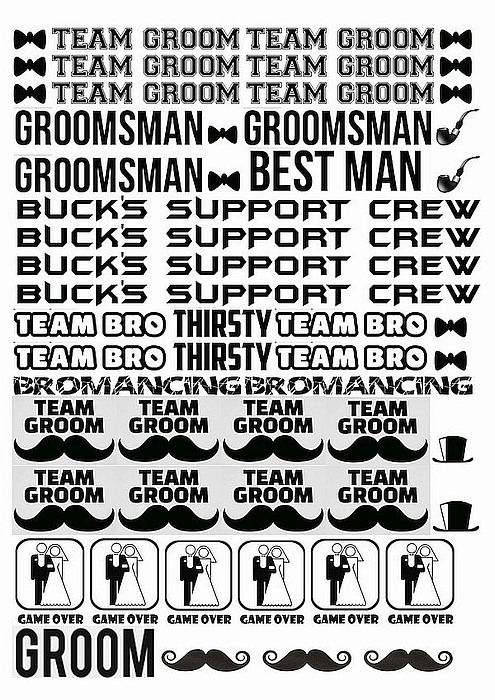 Some of our best-selling options include classics, such as "Bride Tribe" or "Team Bride". 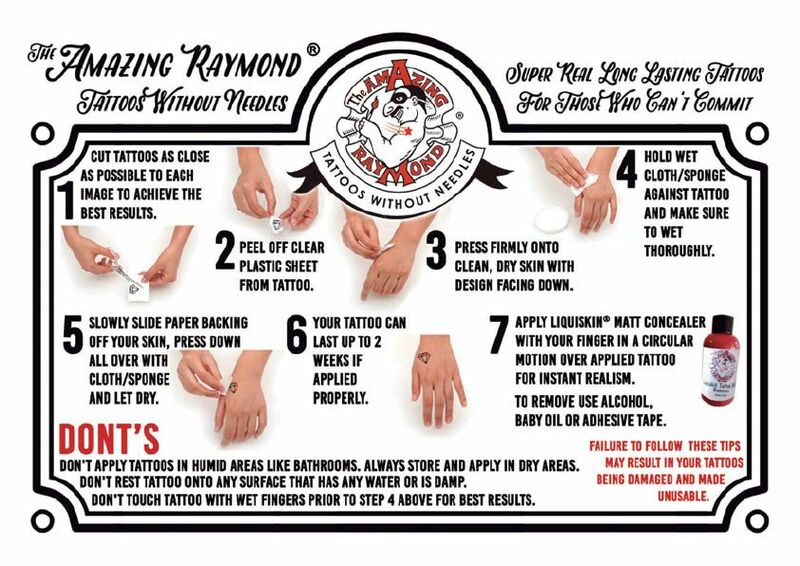 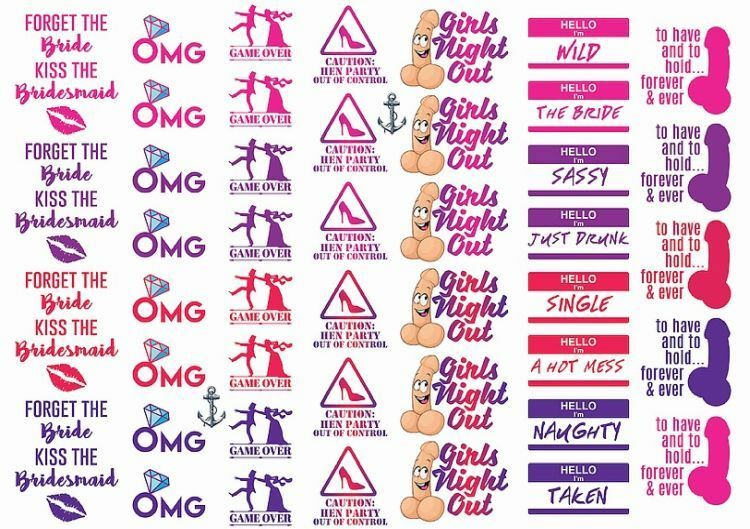 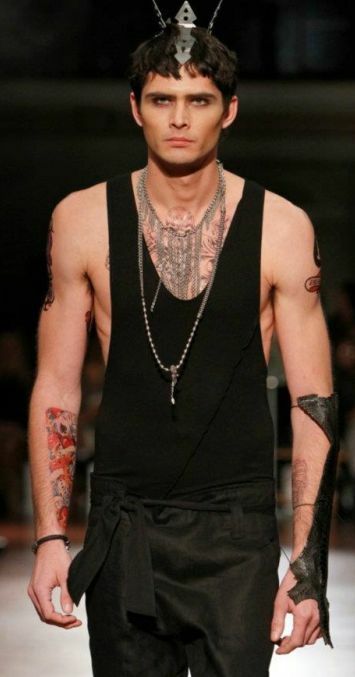 More risqu?, yet classy, alternatives can be found on our A4 sheets, each of which consists of over thirty individual tattoos. 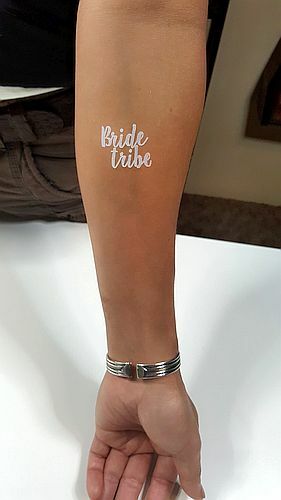 And if you want to go the extra mile, you can opt for our unique, customisable selections, where you can print the bride's name as part of the design. 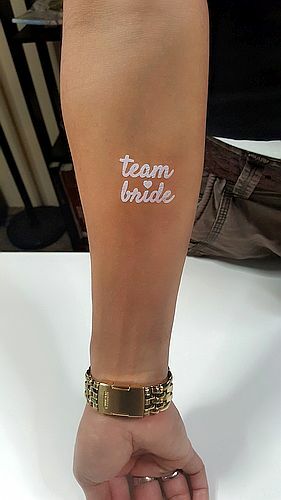 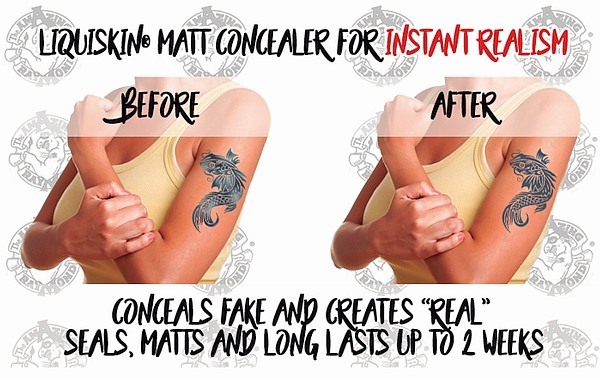 Some of our Hens tattoos are also available in metallic or faux metallic gold, shocking pink, or modern white. 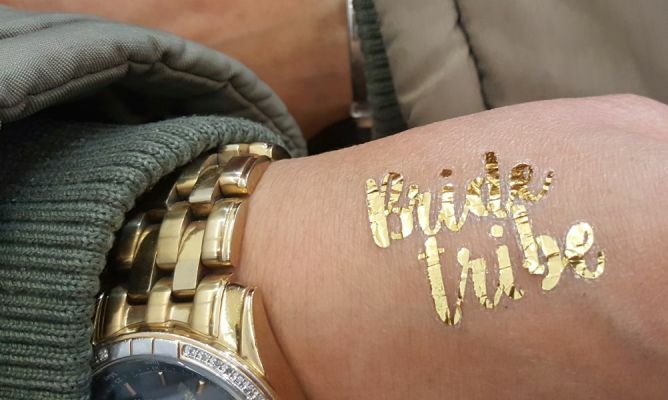 For an extra glam look don't miss out on our Golden Sparks Shimmer Sparkle Powder to let your inner diva shine bright Text©2017 Raymond Mellick.